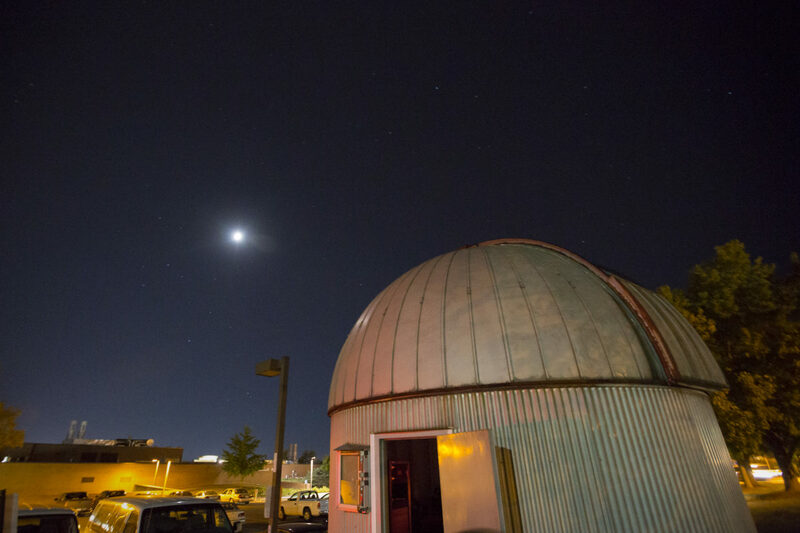 The public is invited to view the moon through Missouri S&T’s 16-inch-diameter telescope on Monday, April 23. All viewings are subject to weather conditions. The Missouri S&T Observatory will open its doors at 9:30 p.m. for the viewing. The sky must be clear for observing, and the session length will vary. The moon is the Earth’s only natural satellite. It was formed 4.6 billion years ago around 30–50 million years after the formation of the solar system. The moon is in synchronous rotation with Earth, meaning the same side is always facing the Earth. This is the fifth viewing of the semester. The sixth and final viewing will be held at 11 p.m. Wednesday, May 9.